How do you like to spend your time outdoors? Living at luxury Lake Jackson apartments gives you the best of both worlds. You’re around an hour from both the city life in Houston and Galveston if you prefer water activities. 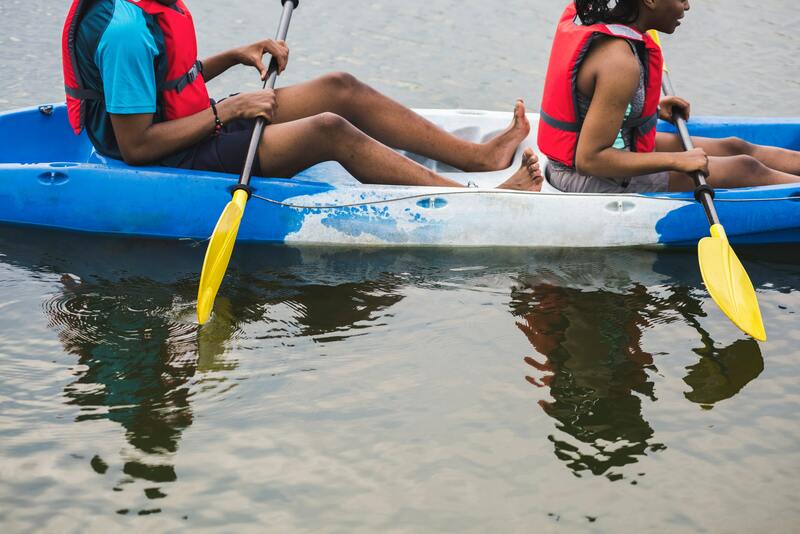 In this edition of our Plantation Park blog, we’re sharing with you some of the best outdoor activities the area has to offer. These are great places to check out if you’re looking to do a staycation or impress visitors. There are so many great spots for you to get out and explore, so we hope you like the ones we’re sharing with you today. Ready to read about our recommendations? When you finish reading through this week’s post, we’d love it if you shared the link to this page with your friends. Better yet, go ahead and share it with another resident of your luxury Lake Jackson apartments! Brazoria County is unique in its close proximity to the Gulf of Mexico. Within a 30 minute drive from luxury Lake Jackson apartments, you can be at one of three wildlife refuges. These areas aim to preserve the land and wildlife, while also educating visitors about conservation. At these refuges, you can participate in activities such as bird watching, fishing, and nature walks. Here are three to check out. Have a need for speed? Prefer to cruise the Gulf at your own leisure? Head out to Galveston for the day to enjoy some time on the water. Whether you’re looking for a speed boat, fishing boat or just a kayak, there are plenty of outfitters in the area where you can rent a boat for the day. Did you know that one of the largest diving lakes in the U.S. is located in your backyard? Mammoth Lake Scuba Park can best be described as an underwater museum. In fact, remains of a 38,000-year-old Colombian Mammoth were excavated from here in 2003 and gave the park its namesake! If you decide to take the plunge here, you may come across antique fire trucks, military vehicles, or an old church steeple during your dive. How cool is that? If you decide to head out here, we’d love to know which artifacts you come across! Those are all the outdoor activities we have to share with you this week, residents! As always, we greatly appreciate those of you who have been coming back week after week to read all the latest brand new blogs from Plantation Park apartments. Be sure to check back in a few short weeks to read our next blog when it’s posted on our site! In the meantime, go ahead and check out these outdoor activities. We’ll be back in a few weeks with another exciting blog post for residents of Plantation Park. If you feel like you learned something useful from this week’s blog and you’d like to be among the first to read our next when one it goes live, we recommend that you bookmark our blog page. That way, you’ll be able to easily check back when we post future blogs up on the site. While you wait for us to post those blogs, you can keep up with everything going on at Plantation Park by following our apartment community on social media. There’s no faster or easier way to stay informed about upcoming events, special promotions and exclusive giveaways happening at Plantation Park — the luxury apartments Lake Jackson residents choose for comfort and convenience.